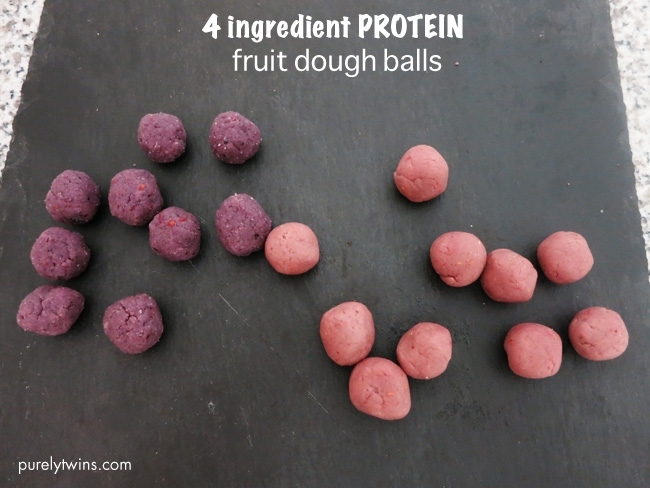 A quick healthy treat that is made from coconut butter, berries and protein powder. A nice balance of healthy fats, protein, and carbs to satisfy any craving. We used frozen berries that we defrosted. 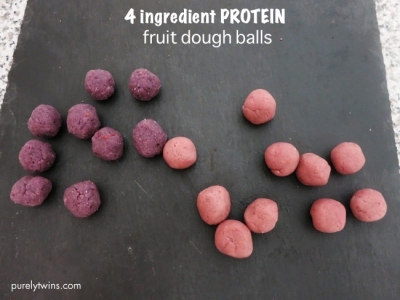 Use raspberries and strawberries for the red dough balls. And blueberries and blackberries for the blue. Combine all ingredients into blender.